This is a joint industry trip with Building and Construction Authority (BCA) to meet construction 3D printing companies in Germany and Switzerland. It was organised by BCA with participation from EDB, Enterprise Singapore, JTC, NAMIC and others. 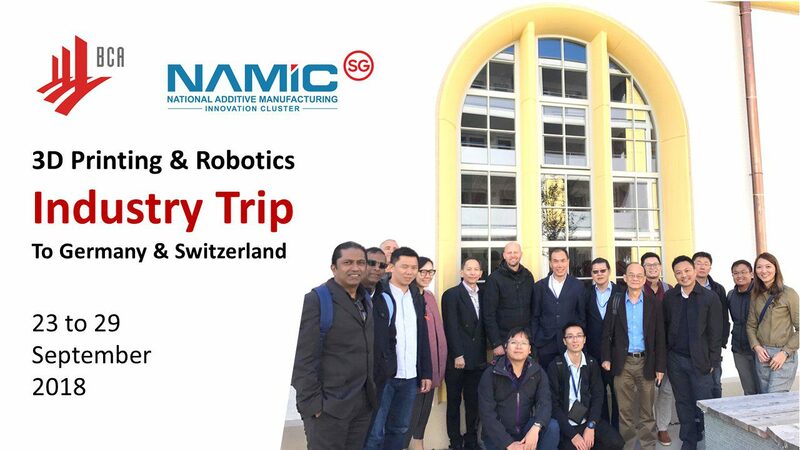 The 3D printing and robotics industry trip was held from 23 to 29 September 2018.